The 2011 World Series of Poker* is just around the corner and poker players all over the world are making their plans to participate in this year’s tournaments. 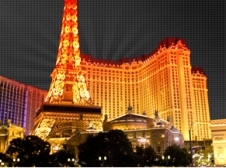 Titan Poker offers multiple ways to qualify for the Main Event and the Side Events in Las Vegas this summer. Main Event Super Satellite = The Sunday night Freezeout and the Tuesday night Rebuy Super Satellites award winning players with a $13,000 package including the $10,000 buy-in to the Main Event. Pot Limit Omaha Super Satellite = Players who prefer Omaha Poker can compete for a $13,000 winner’s package at the weekly Friday night freezeout. The winner will play in the PLO World Championship (Event #42). Side Event Super Satellite = This weekly series awards winning players with a $5,500 package that includes entries to two Side Events. The Super Satellite is staged on Thursday nights. WSOP Experience Super Satellite = Saturday night Super Satellites award winning players with a $3,600 package that includes a Side Event entry and a true Las Vegas experience. WSOP Executive Jackpot Sit ‘n’ Go = Players who win six consecutive “WSOP* Executive Jackpot SNG” tournaments will receive a $25,000 executive package that includes buy-ins to the Main Event and a Side Event and 13 nights’ accommodation in Las Vegas. WSOP Warrior League = Titan Poker’s warriors are competing at weekly events to rack up points on the league’s leaderboard. There is $100,000 in WSOP* packages up for grabs to the top players. Go Vegas = Titan Poker will award a $13,000 WSOP* package absolutely for free to the player who wins the Go Vegas Final on June 18. Players win their seats to the final by qualifying for and playing weekly freerolls. MT3 Multi-Table Tournament League = The top twenty players on this 4-month leaderboard race will each win a $5,000 WSOP Experience Package.